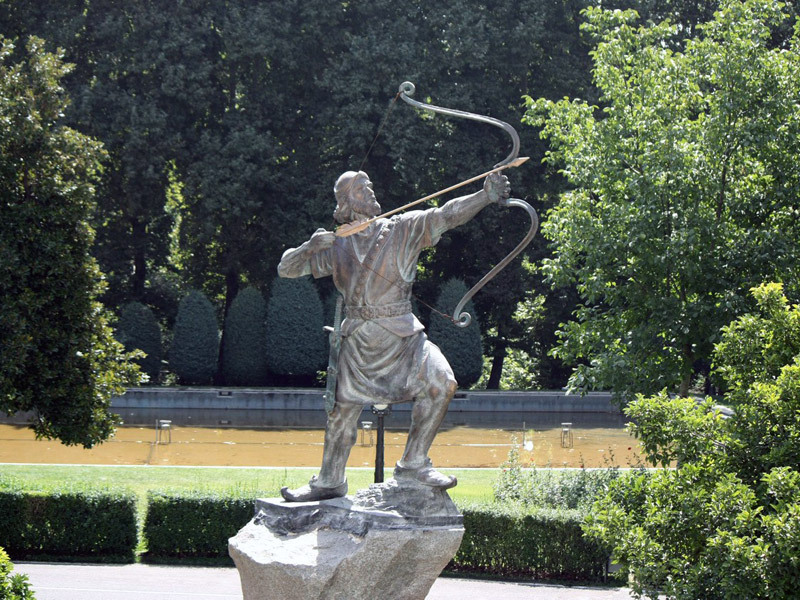 In ancient Iranian mythology, Arash was a mighty archer. He lived in those days when the army of the Iranian king Manuchehr were defeated in Mazenderan by the king Turan Afrasiab. The Iranian king wanted to protect the country from the Turanians and made an agreement with Afrasiab. According to the agreement, one of the soldiers had to climb up the mountain of Damavand and shoot an arrow into the sky. The place where the arrow falls will be the border between Turan and Iran. King Afrasiab believed that the arrow would not fly far. 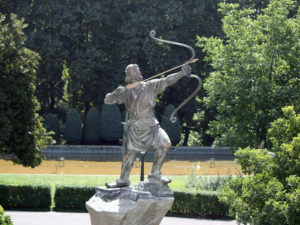 Early in the morning Arash the Archer climbed to the highest point of the mountain, pulled the bow and shot. He put all his strength and love for his homeland in this arrow, and as soon as he shot the arrow, Arash died. His arrow flew for two days and finally fell next to the Amu Darya River, on a land that was far from the Iranian border. Thus, the river became the border between Iran and Turan. In honor of the victory over the Turansians and in memory of Arash the Archer who pointed the border with his arrow, the Tiregan feast was celebrated. Iranians celebrate Tiregan in the summer month of Tire. The name “Arash” is considered a symbol of sacrifice for great values.